I’m a big f an of short stories. They’re not to everyone’s taste and in fact I have a friend who refuses to consider a short story collection even if it’s by a writer she loves. I think that it’s a shame because the short story does have a lot to offer. I did once think that maybe it wasn’t ideally suited to crime fiction, as the short story writers that I love reading – Katherine Mansfield, AS Byatt and Raymond Carver – aren’t writing in this genre. 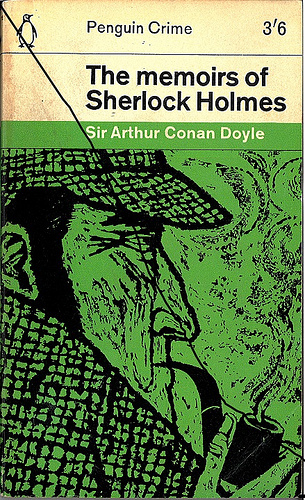 But when I think back to the crime fiction that I grew up reading – Conan Doyle, Agatha Christie and Dorothy Sayers – these writers all produced good quality short stories and in fact was the preferred style of Conan Doyle. So what has happened since? There are crime writers who still write well in this area. Ruth Rendell produces wonderful short fiction and and Lawrence Block has a number of excellent collections, although on his website he admits that “short fiction went into eclipse when magazines, unable to compete with TV and paperback novels, stopped publishing it in quantity.” The US, however, does still produce some good quality crime collections, in particular Otto Penzler’s Best American Mystery Stories series. But often these collections involve established authors. New writers find it impossible to find a publisher for their fiction, largely I suspect because there is no longer a market for it. Yet one of the pieces of crime fiction that has stayed with me was a short story Texas Heat by William Harrison a story both horrific and truly moving. And there is plenty going on in the blogosphere. Rob at The View from the Blue House regularly publishes his short stories on his blog and they’re very entertaining. And Margot at Confessions of a Mystery Novelist is encouraging everyone to have a go at a ‘dribble’ a short story of exactly 50 words which are great fun to both read and write. So to do my bit for crime short stories here’s a review of a collection by a new writer, Beda Higgins. She apparently won the 2009 Mslexia Short Story competition although it’s not clear if that story appears in this book. The collection isn’t billed as crime fiction and yet most of the stories do have a malevolent delight to them. In The Dark Side of the Hill, a family holiday turns into a competition between two affluent families staying very different accommodation, while Idle Hands details the perils of retirement and the seeds of evil that can flourish in the mind. All the tales are fun and written with a real sense of mischief and remind me a bit of early Ruth Rendell stories. Some of the crimes are a little far-fetched but this only adds to the sense of playfulness in the writing. It’s a short enjoyable collection of stories from a talented writer based in the north-east of England. It will be interesting to see if she stays with the genre or whether she moves on to longer fiction. Sarah – Thank you so much for the mention :-). I appreciate it. I do hope folks will send me lots of Dribbles :-). I agree with you, too, about the value of short stories. I enjoy them myself, very much. You’ve mentioned some very excellent examples of novelists who also do fine short stories. There are others as well. Short stories are a different form of crime fiction, so the same “rules” don’t necessarily apply. In fact, I think they actually complement longer fiction in the overall picture of the genre. That’s why I especially admire authors who can do both. Thanks Margot. I agree that short stories complement longer fiction and the best writers can do both. I’m always up for reading short stories and I would love to see more published. I used to read many short stories when I was a good deal younger – Conan Doyle, Saki, Maupassant et al. – including lots of Science Fiction which is very big on the short format. One of my favourites was a Penguin collection of “English short stories” (one of which was James Joyce’s The Dead!) which I loved and still have. I have read quite a few crime fiction in short form but not so much in recent years. Last Christmas I read a few – the trouble is that they are so variable. One or two are really good, but it is a bit annoying to read a compilation when only a couple of them are, and the rest are so-so. I agree about the variety in quality of short stories – I forgot about Maupassant. I read his stories a few years ago and really enjoyed them. Your blog is exquisite! What have I been missing? I’m so glad you posted a comment on my blog. I’m really glad that you liked Operation Napoleon. As of Friday night, I had trouble turning the bedside lamp off because I was finally! At long last! Getting into this book. I’ve got you bookmarked now. Thanks Judith for your comments! I love your blog too. I’ve heard on the news about the snow hitting East Coast US. My sister-in-law and her family have a holiday home in Windham – I can see from the snowcam they have snow too. Just discovered your blog, Sarah, after you commented on mine. I’ll add a link on my site to you. In terms of short stories, I must recommend the various collections of Edward D Hoch, in particular the Sam Hawthorne ones – both reviewed on my blog. He can cram more plot into twenty pages than some crime novelists manage in 500. Thanks. I haven’t read Edward D Hoch but I’m always up for new writers. One to try out definitely. You have a great blog. I’m a big fan of classic crime and there is so much stuff out there to discover.